This was a great chance to get out the paint and industrial strength Sharpie graffiti markers to create this large scale wall art! 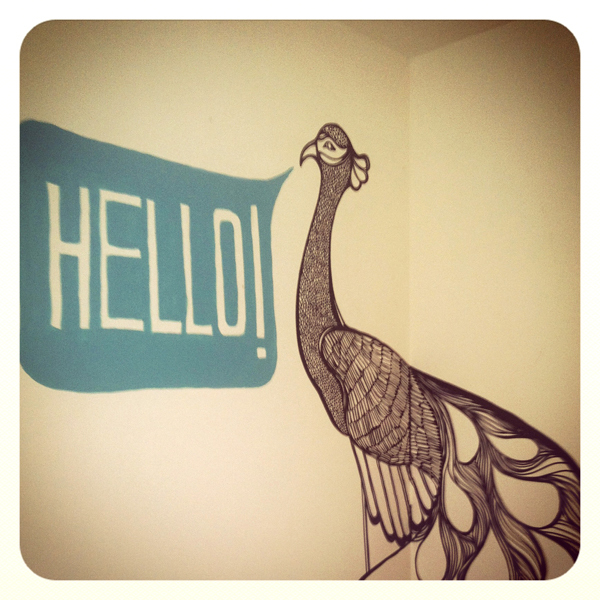 An intricately drawn peacock says a friendly ‘Hello’ to all visitors to the Design Brighton studios! He is 1.2 m heigh and spans a corner (drawing round which was certainly a challenge to get the ink work right up to the edge!) and took 3 hours to complete. Hello to all! 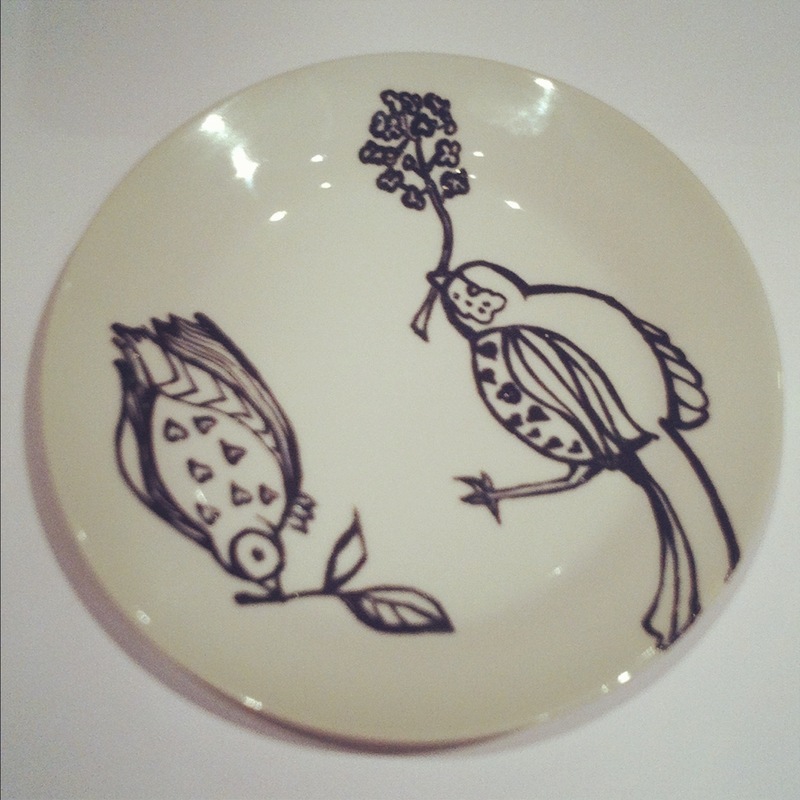 I attended a lovely little ceramic workshop on Thursday at Homemade London drawing all over old plates with special pens that then can be baked in a normal oven and set for life! My attempts were a little bit gloopy but I now have an excellent cake-slice-sized side plate adorned with illustrated birds -now just in time for cake! An amazing weekend in Bristol live painting with UPFEST! the weekend was a blast and we met so many amazing people -cheers to all! A few photos and action shots from the day with Louise Brangwin and myself representing Decked painting in true Art Nouveau style in black and gold! Our boards were based on mythology, Medusa, Leda and the Swan and butterflies and bees representing the afterlife.